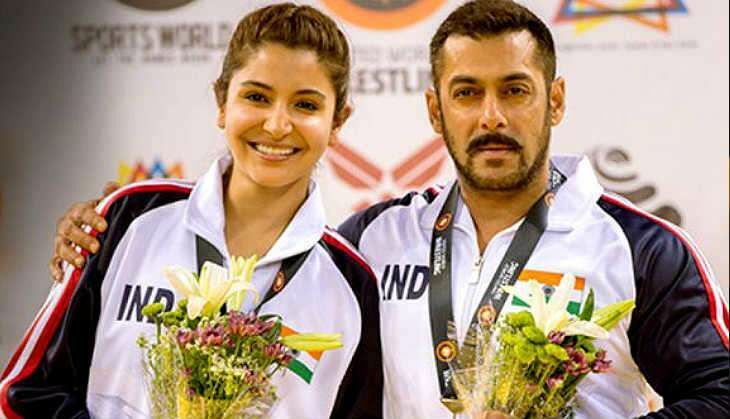 Last Wednesday saw the release of Bollywood film Sultan. The wrestling-drama opened to unbelievable collections, collecting around Rs 36.54 crore at the Box Office. An Eid release, Sultan hit the screens on 6 July 2016 and crossed the coveted Rs 100 crore mark in just three days of release. The film also recorded superstar Salman Khan's 10th straight film in a row to cross the century mark at the Box Office. Sultan is doing phenomenal business at Tollywood Box Office as well despite clashing with three Telugu films, Aa Mugguru, Iddaram, and Friend Request. The film was expected to do average business in Telangana as Hindi releases normally struggle to put up good numbers if they clash with Telugu films. However, Sultan has overpowered all three Telugu releases with strong hold across the cinemas in Telangana. So much so is the craze for the film that extra screens have been added today morning. The below par performance of all three Telugu releases has also worked in favour of the film to secure additional screens in the cinemas of Nizam and Andhra Pradesh . The reports of the Ali Abbas Zafar directorial are very positive, and it is expected to do astounding business at the cinemas today.